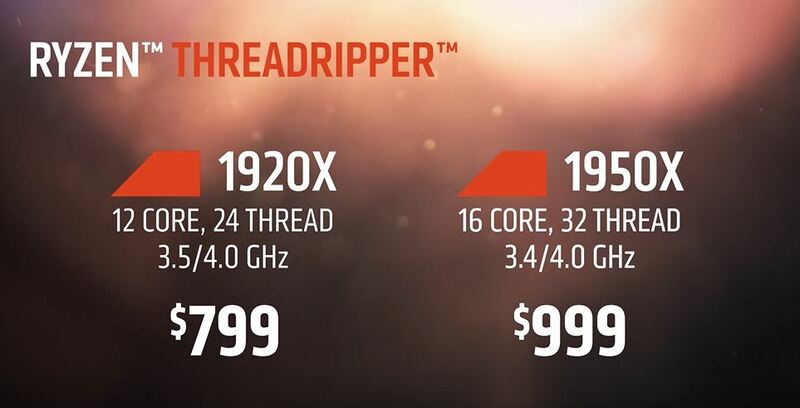 AMD is pleased to announce the specifications, pricing and availability details for the long-awaited Ryzen Threadripper in a video presented by AMD CEO Lisa Su as well as specifications and availability of the Ryzen 3 CPUs. In addition, we would like to share a blog Post where Jim Anderson, senior vice president and general manager of Computing and Graphics Group of AMD, talks about these latest updates. Pricing and availability details of Ryzen 3 and Ryzen Threadripper desktop processors. AMD Ryzen Threadripper will be available for the High-End desktop market around the world in early August. In addition to the previously announced 16-core and 32-thread model, there will also be a 12-core and 24-thread model available. Both are unlocked, use the new Socket TR4, have quad channel DDR4 support and provide 64 lanes of PCI Express. 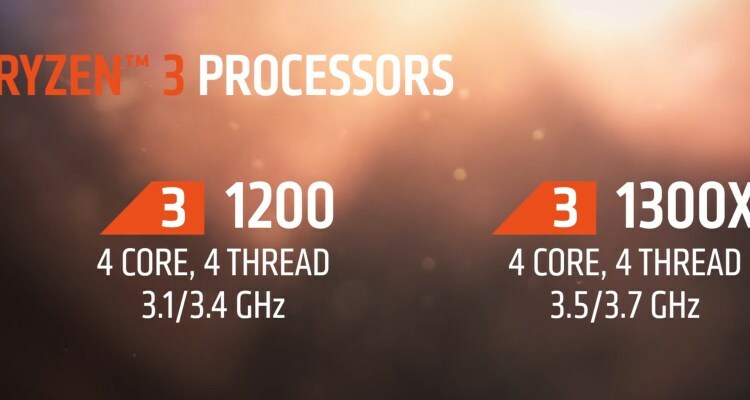 The base clock on the Ryzen Threadripper 1950X 16-core is 3.4 GHz with precision boost at 4.0 GHz. As for the 12-core Ryzen Threadripper 1920X, the clock base is 3.5 GHz with a precision boost at 4.0 GHz. Both Ryzen Threadripper CPUs offer higher performance on Cinebench r15 than Intel 7900X, as you can see in the above video. AMD is on the way to launching Ryzen Threadripper CPUs and motherboards in early August, with Alienware Area-51 Threadripper Edition pre-orders starting from July 27. AMD also announced the specifications and availability of Ryzen 3 desktop CPUs, which are 4-core, Zen-based CPUs available in two desktop models. The Ryzen 3 1300X has a clock base at 3.5 GHz and boost at 3.7 GHz, and the Ryzen 3 1200 has a clock base of 3.1 GHz and boost at 3.4 GHz. Both models will be released worldwide on 27th July, 2017.